This recipe isn’t for everyone, but I adored the outcome. And Ryan liked it too. 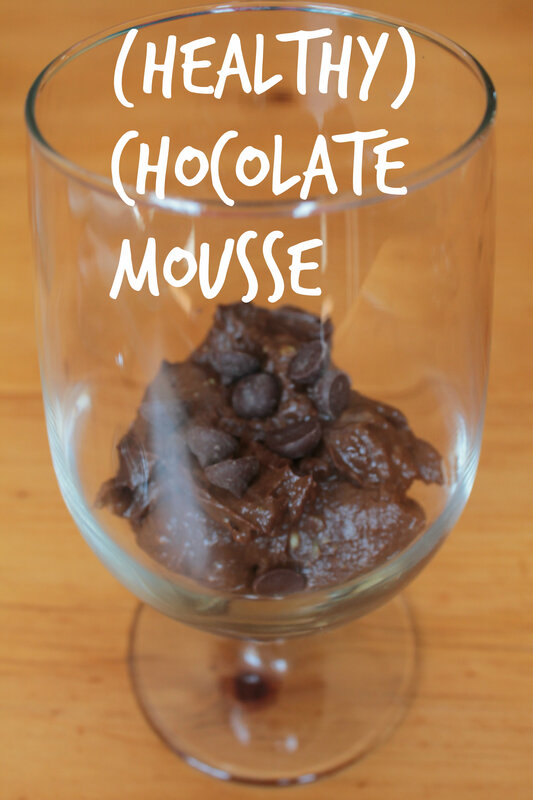 For years I had seen vegan/raw recipes for chocolate mousse, in which the main ingredient was…. The background: Philomena isn’t a big eater. I mean, she isn’t necessarily picky, because she’ll eat whatever we put on her tray…but, she won’t eat a lot of it, you know? Avocados are the great exception. I know I exaggerate like a thousand times every blog post, but in all seriousness, I think probably close to 90% of her caloric intake comes from avocados. At the end of most meals, if she hasn’t eaten a lot, we’ll offer her avocado. And almost without exception, she’ll eat at least half of one, sometimes more. We are totally okay with this, because as you know, avocados are full of good fats. This fruit (yes, it’s a fruit) can be crazy expensive. However, Aldi’s often runs specials on conventional ones for such discounted prices that we totally stock up. If you buy them unripened, then refrigerate after they ripen, you can keep avocados on hand longer than you might imagine. So, anyway, recipes for chocolate mousse with avocados are all over the internet, but I was always quite skeptical to attempt them. However, since we had a good amount of avocados on hand, I thought I’d give it a try. The process couldn’t have been simpler! The end result was smooth, rich, and creamy. Contrary to what many of the recipes boast, I wouldn’t say this tastes exactly like normal chocolate mousse. There is definitely a different aftertaste to it, but it’s not bad. I don’t think you’d be able to “trick” someone into thinking it was the real deal (well, maybe unsuspecting kids), but as a dessert in and of itself, it is quite tasty. Sooo…if you’re looking to satisfy a sweet tooth, but want to stay on the healthy train, this is a great alternative! 1. In a food processor [I think a blender might work too…even a hand blender], process the avocado until smooth. 3. Put into two bowls or glasses. Garnish with optional chocolate chips. 3. Chill in the refrigerator for at least 45 minutes, preferably two hours.